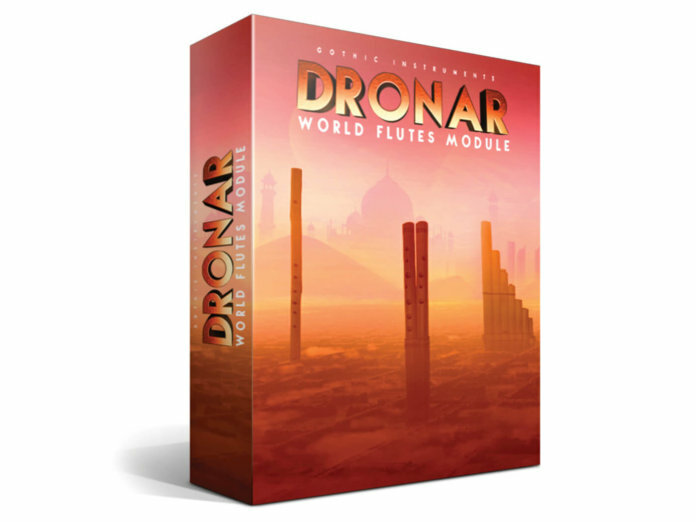 In this latest addition to the Dronar product line, Gothic Instruments plunders all manner of flutes from around the world, with surprisingly non-flute-like results. Flutes aren’t the instrument that you might immediately associate with the concept of providing drones and pulses, but anyone versed with other Dronars in this series from Gothic Instruments will know that you often have to expect the unexpected. Mention the flute to the vast majority of people, and you might get a reaction ranging from school-day recollections of wind bands, but the reality is, flutes come in all shapes and sizes. Apart from alto and bass flutes, which are larger incarnations of the more usual flute that you might see in an orchestra, the world is awash with traditions which might take a pipe, create some finger holes, and blow across it – except for the pan pipes of course, which comprise a series of pipes of differing lengths, lashed together [mmm, pan pipes – Ed]. In its quest to find some of the more unusual flute- and pipe-based instruments, Gothic Instruments has sampled some real rarities for inclusion here, ranging from the dizi (which is a form of Chinese bamboo flute), recorders, ocarina, pan flutes/pipes and even the aforementioned bass flute, which has been very popular in recent years within film scores, such as the Harry Potter series. Alongside this wide selection of instrumentation, various techniques have been employed, such as flutter tonguing, where the player literally rolls an ‘Rrr’ while blowing, to create a fairly aggressive tone. How this complies with this package is more about conforming to the Dronar concept. This is not a collection of instruments which is designed to be played in the conventional sense, but more about creating textures and soundscapes, which can mutate and build over time, while in the hands of real-time control. Once installed, there’s a veritable feast of presets, which is nicely organised to help you locate something that will already sound great, but can easily be altered within the various menu pages. The main page itself is organised into partials listed as FX, Hi, Mid and Lo, with each area offering a slightly different palette of flute, according to the register suggested in the description. It’s also possible to load in two timbres at this partial stage, with different techniques, so you might choose to employ a basic sustained tone, alongside something which pulses or flutters, while also indicating whether you’d like this tonal source to be up close or distant with reverberation. As this form is applied across all four partial registrations, it’s easy to build something to your liking, or to balance it to a form which is more suitable. It’s also possible to thicken textures at this stage, and bring the Smart Bass technology into play. As World Flutes is not about melodies, but purely about drone-styled content, the Smart Bass element can quickly and easily add a foundation to your drone. In my discoveries, this seems to work pretty well, depending on the complexity of your harmony and use of chordal inversions. However, if you find that it’s not working out for you, you can at least switch it off. Sonically, I find this suite to be very usable. I really enjoy the ability to take a preset and tweak away, but moreover, it’s the ease with which you can do this, from within the dedicated menus that counts. The variance of sonic palette here is such that the choice is excellent; I especially like the more personal and up-close settings, while the finesse of playing styles, such as finger vibrato, make this pretty extensive. However, it’s within the realm of real-time control in track placement where I feel this really comes alive. Within my own musical daubings, I have a real need for instrumentation that will allow for continual change of sonic construct, and with a little editing, World Flutes plays very nicely with external MIDI CC control, allowing for intuitive use within a track where you can ride and balance the various facets as you go. While the onboard FX section is useful and offers basic reverb, delay and distortion, the addition of further DAW-based effects, especially overdrive and distortion, along with compression and further delay or reverberation, make for a pretty mighty instrument. Overall, it is very capable, although it is a great shame that there is not the opportunity to use these samples in a more melodic manner. The Dronar colours are firmly nailed to the mast in this regard, and Gothic Instruments makes it very clear that melody is not what this package is about, so you have to understand this before considering World Flutes for this kind of work. 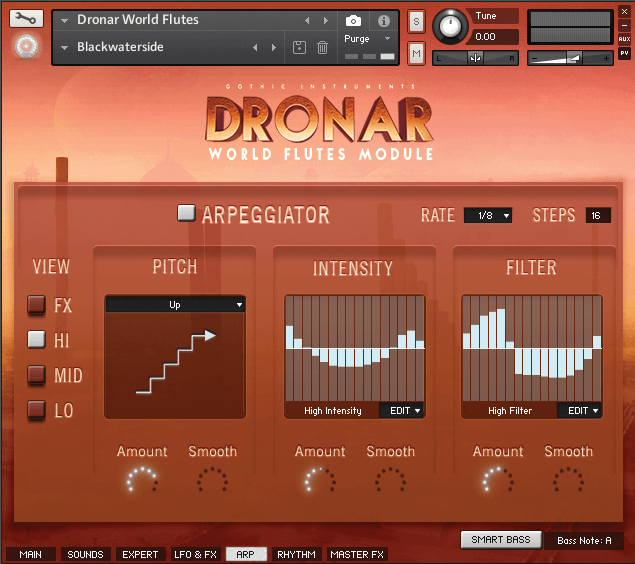 This offers a pretty distinctive package to all users; you can’t help but hear the connection to the flute world, but in line with all of the other Dronars, it offers a superb ability to create interesting and unique textures which can duck and dive with the creative flow of your composition. The instrument is not without its little issues, though; it does seem to be pretty heavy on the processing power, meaning that you might not be able to use as many as you might like, but then it’s the sort of package where you will probably only want to use one or two at a given time. Installation was also a little fiddly, as it doesn’t conform to the NI Kontakt Library format, meaning that you have to have the full version of Kontakt, while loading it via the file browser. The presets are also installed manually, via the Kontakt Snapshot route, again making installation somewhat fiddly. 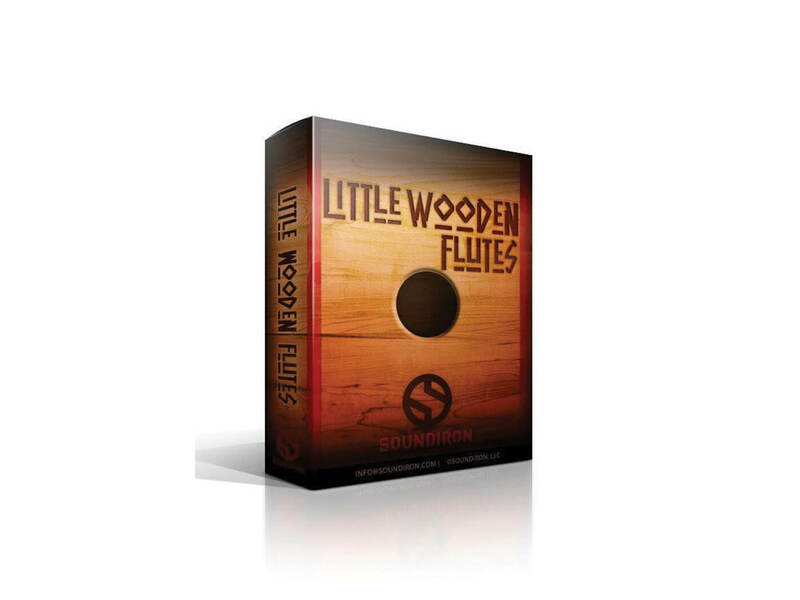 If you can cope with these minor issues, you’ll find that World Flutes is a very useful package, especially if you’re working within the soundtrack arena, or require a sonic backdrop that can seamlessly mutate over time. In this regard, it’s excellent and another perfect addition to the expanding Dronar series. If you have a calling for atmospheres, drones and pads, especially ones where real-time control can be exploited, this is a package that may well interest you. Don’t be fooled by the use of the word ‘flutes’ in the title, though; this can go way beyond the traditional concept of what flutes do, largely thanks to the additional onboard control elements, which are easy to use and effective with it. It can be a little restricting harmonically, and certainly it’s not going to provide you with flute samples which can play a melody, but this is not the World Flute remit. For the price, it also represents pretty good value for money. 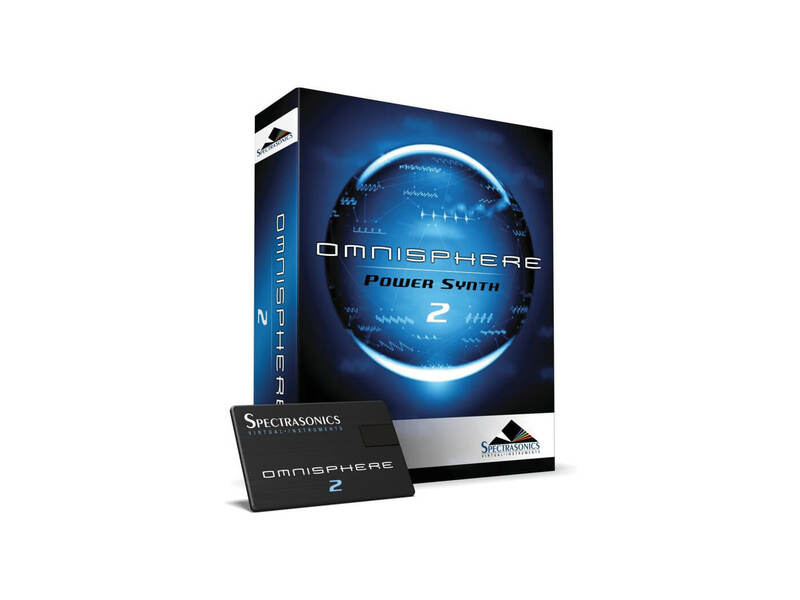 It’s hardly surprising, given the price tag, that Omnisphere 2.5 will do far more than World Flutes, but it is something of a gold standard. Also, with its new hardware control integration, it has also become an industry workhorse, with some highly impressive technology under the hood. Based around Indian and Native American flutes, this package offers drone-like content through pads and synthetic elements, alongside traditional flute-based samples, which can also be played melodically. It’s a fairly small and basic package, butit does cover plenty of flute bases. 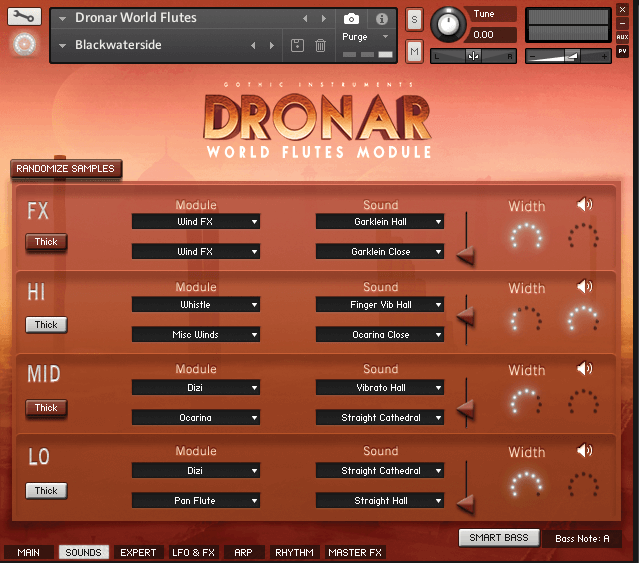 World Flutes creates another category for the Dronar line that goes way beyond the exclusive connection with flutes suggested by the title.